Thanks for the Lee Child podcast. Nice interview! Good for me to hear “My advice is to ignore all advice,” as I’m trying to break into the mystery field in a setting not done before (it also helps me ignore what he said about people wanting their lead characters to be superhuman, since mine isn’t). I’m glad to hear he starts from a germ, a paragraph or an image and sees where it leads him. C.S. Lewis got into the Narnia series that way, & I’m trying it too. And it was just great hearing him viva voce with that lovely English accent. Good questions–you got a lot of stuff out of him in a short time, low key, easy going, and most interesting. I esp. enjoyed his answer about setting the series here in the US, with him being from England. Very best wishes! Don, thanks for the kind words re: the Lee Child interview? For someone with his success, Lee was incredibly cooperative and flexible in recording the interview. And, as you said, he has a lot of good insight on what works for him – and I think his books and success speak for themselves. Love this. Especially his words about not writing to committee. Thanks for sharing the link to your podcasts over on WU! @Normandie, thanks for the kind words. 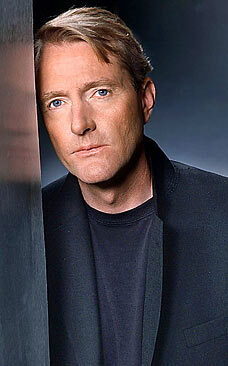 Glad you liked the Lee Child interview. He has a lot of great writing wisdom to offer.